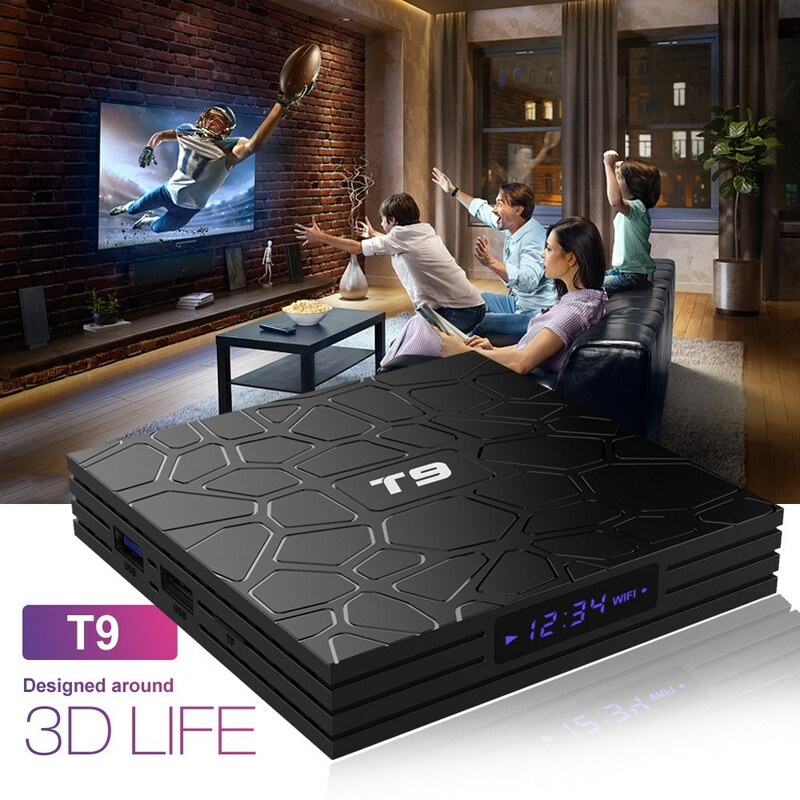 T9 Smart Android TV Box can change your traditional TV & LCD monitor into a multimedia center by connecting the Internet (Via WiFi or RJ45). 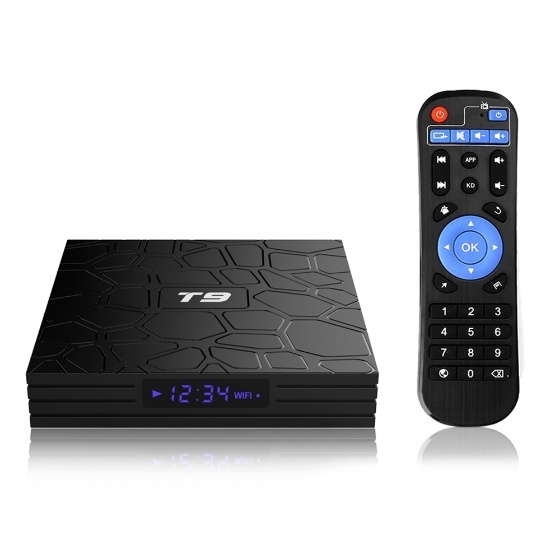 This smart Android TV Box will bring you much fun and convenience with its powerful feature: Android 8.1, RK3328 Quad-Core CPU, Penta-Core Mali-450MP2 GPU, 4GB RAM and 32GB ROM, 4K UHD video hardware decoding, 2.4G WiFi and BT 4.0 connection. 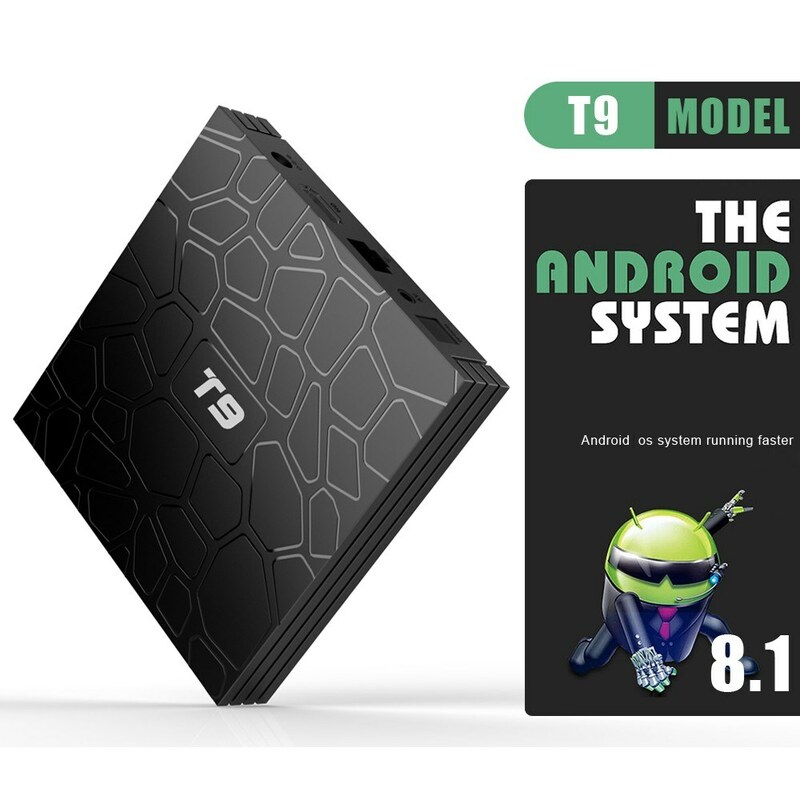 Runs on Android 8.1 System which is perfect in productivity, stability and performance, fast running. 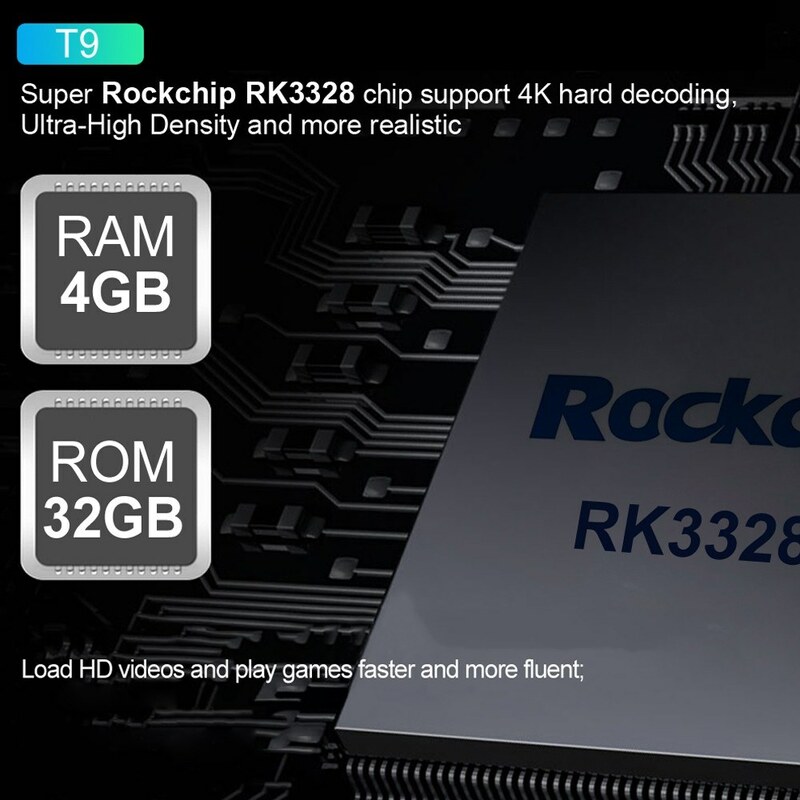 Powered by high-performance RK3328 Quad-Core CPU. 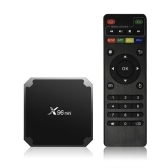 It also features HD 2.0, USB3.0 and a Penta-Core Mali-450MP2 GPU. 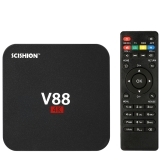 H.265 and VP9, powerful decoding capabilities, can decode most of the file formats at present, and save about 50% bandwidth. 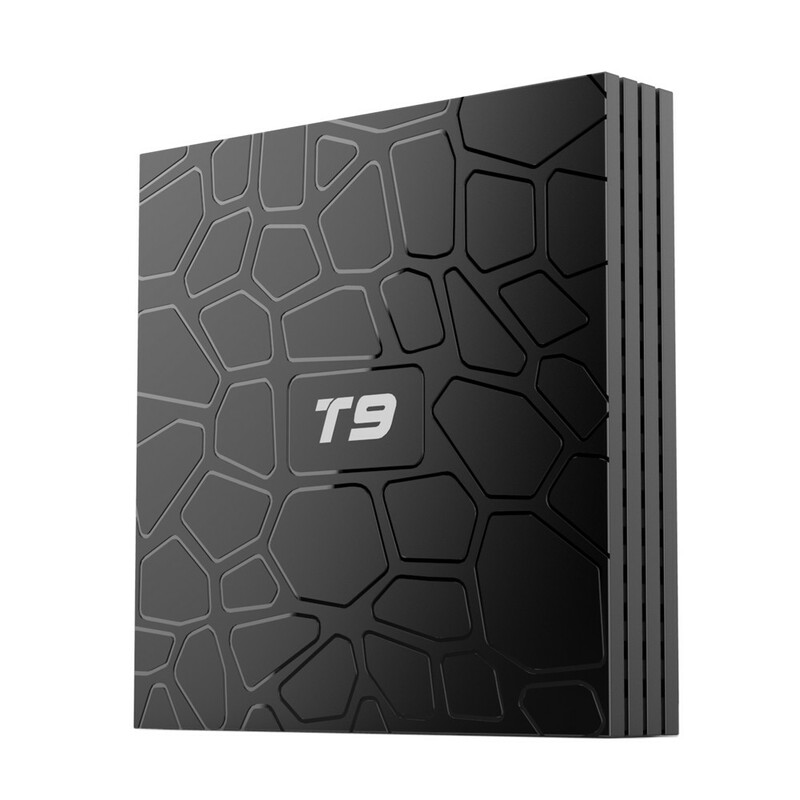 4GB RAM and 32GB ROM provides plentiful room for smooth data processing and storage, also prevents crashes due to lack of memory. 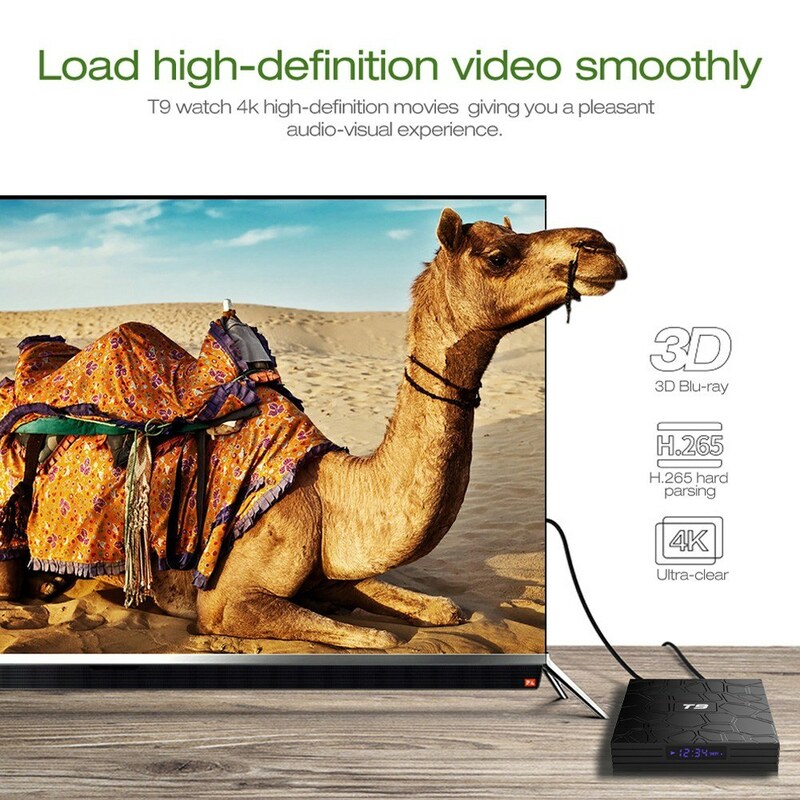 Supports 4K UHD video hardware decoding. 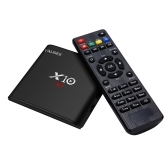 It enables you to watch your favorite movies at vivid and smooth playback. 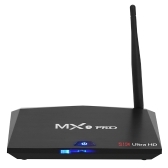 Built-in 2.4G WiFi provide reliable network access with high data rates. 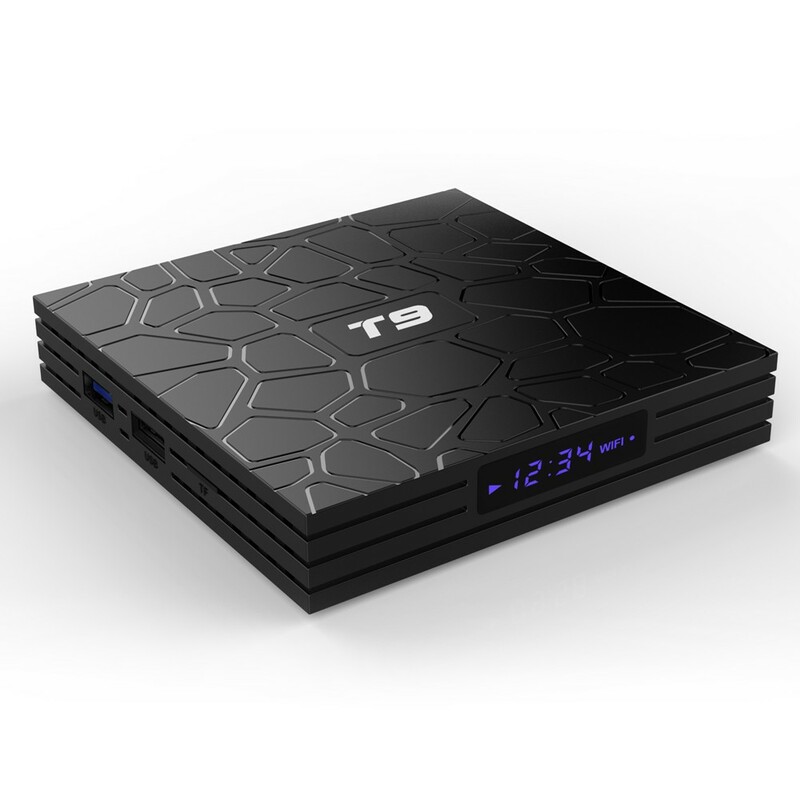 BT 4.0 enables T9 to pair with external devices. 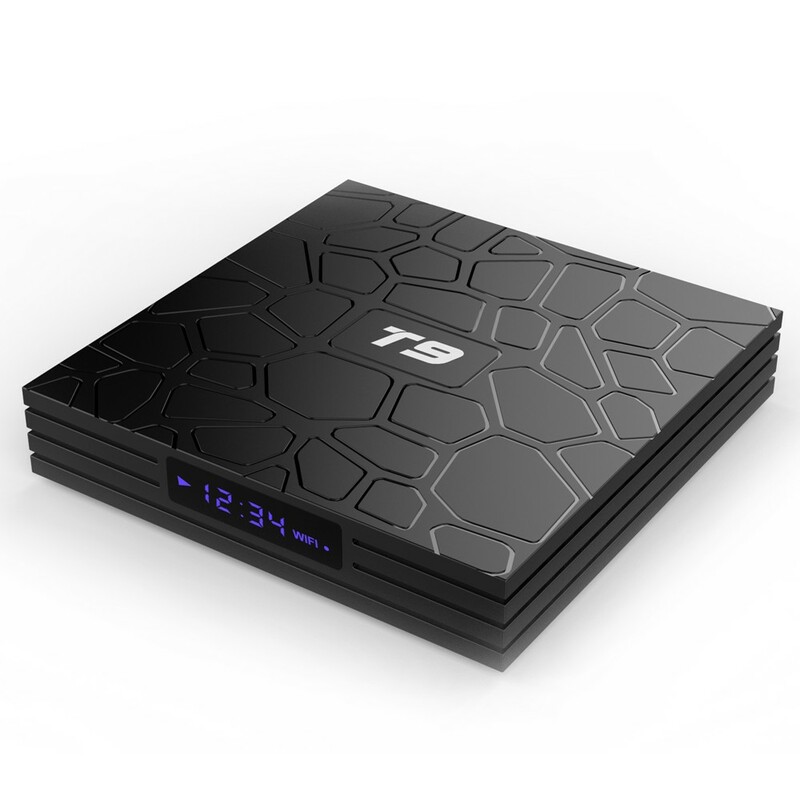 Q How much TB USB harddisk this setup box supports. 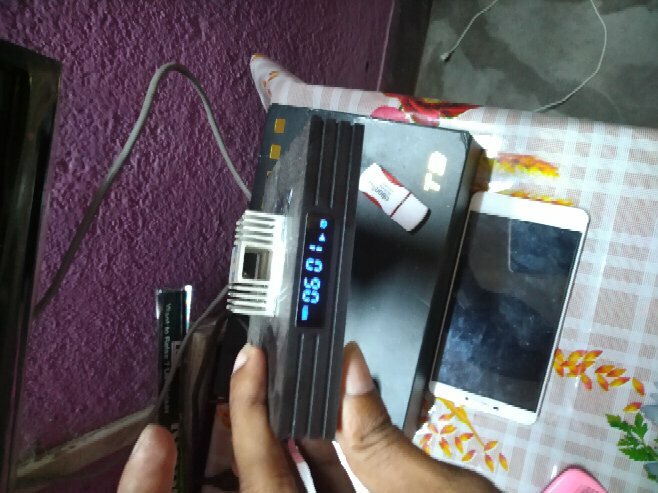 wether this have screen mirroring or miracast. 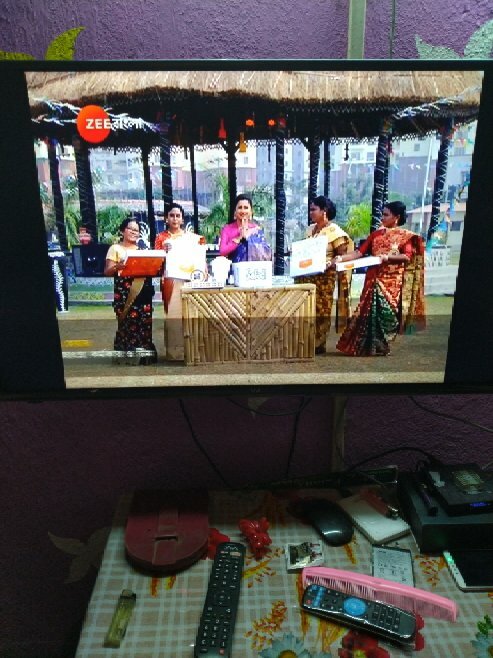 wether this supports South Indian HD TV Channels. A Sorry,it does not support harddisk. 4GB RAM and 32GB ROM provides plentiful room for smooth data processing and storage, also prevents crashes due to lack of memory. 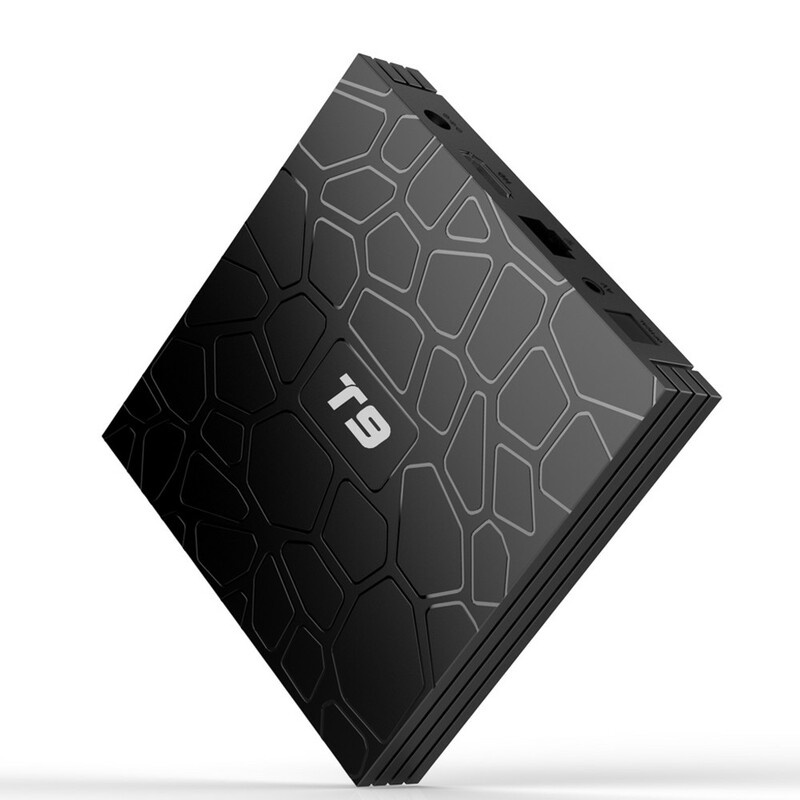 T9 Smart Android TV Box can change your traditional TV & LCD monitor into a multimedia center by connecting the Internet (Via WiFi or RJ45). 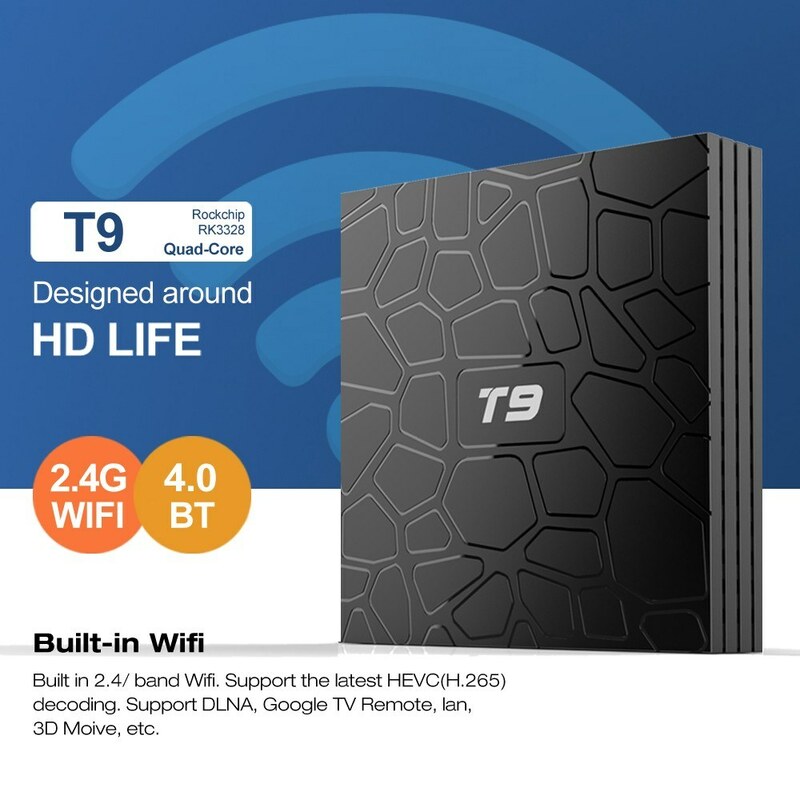 This smart Android TV Box will bring you much fun and convenience with its powerful feature: Android 8.1, RK3328 Quad-Core CPU, Penta-Core Mali-450MP2 GPU, 4GB RAM and 32GB ROM, 4K UHD video hardware decoding, 2.4G WiFi and BT 4.0 connection. 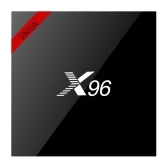 Q wether this product support screen mirroring or miracast. World TV channels preferably South indian TV channels. 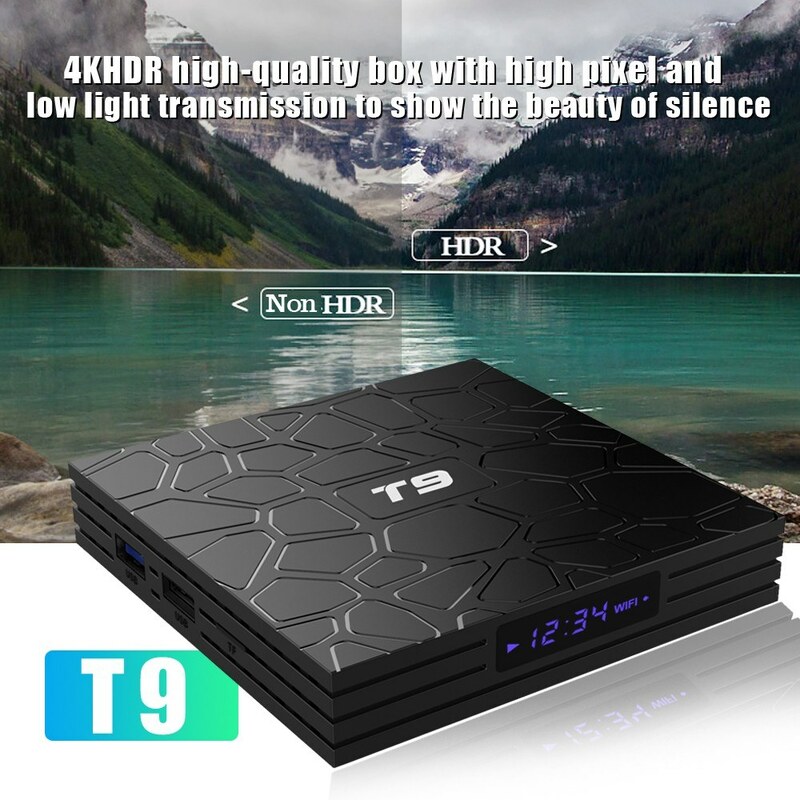 A T9 Smart Android TV Box can change your traditional TV & LCD monitor into a multimedia center by connecting the Internet (Via WiFi or RJ45). 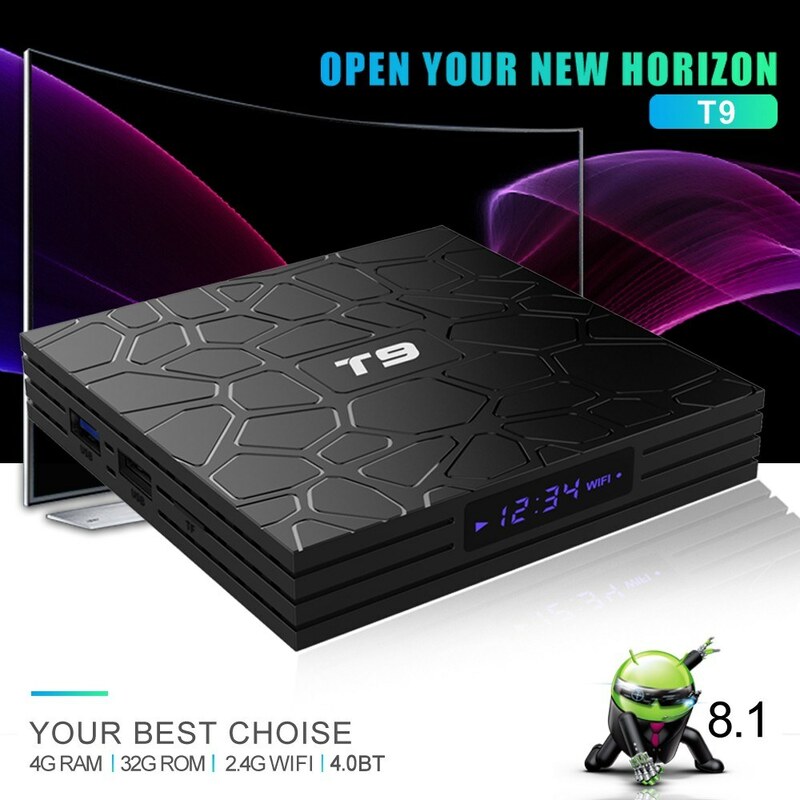 This smart Android TV Box will bring you much fun and convenience with its powerful feature: Android 8.1, RK3328 Quad-Core CPU, Penta-Core Mali-450MP2 GPU, 4GB RAM and 32GB ROM, 4K UHD video hardware decoding, 2.4G WiFi and BT 4.0 connection. 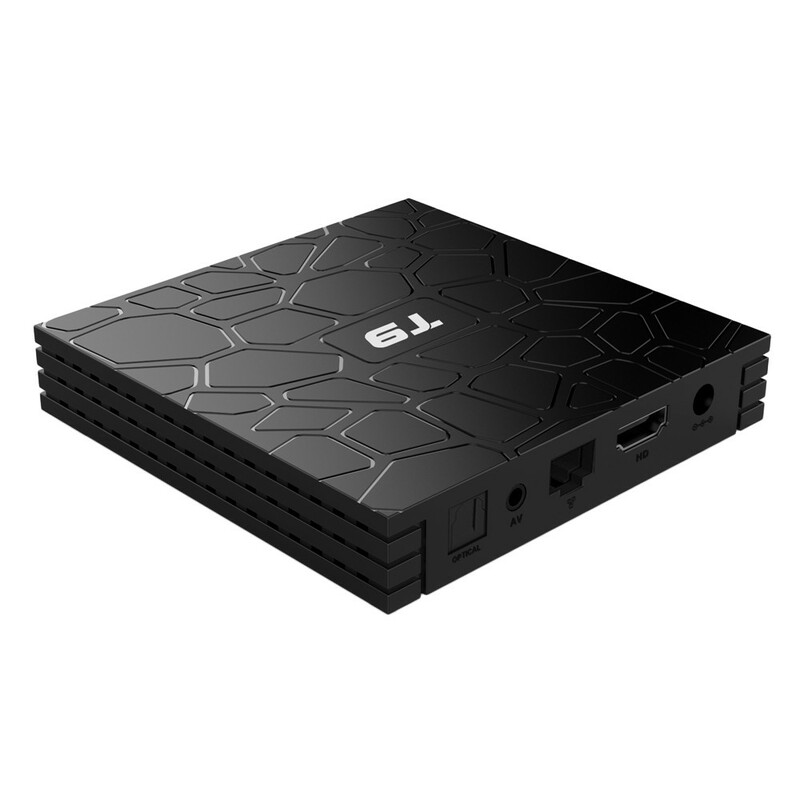 Q wether this product has pre loaded kodi app & wether this supports 8tb external hard disk for movie playback. 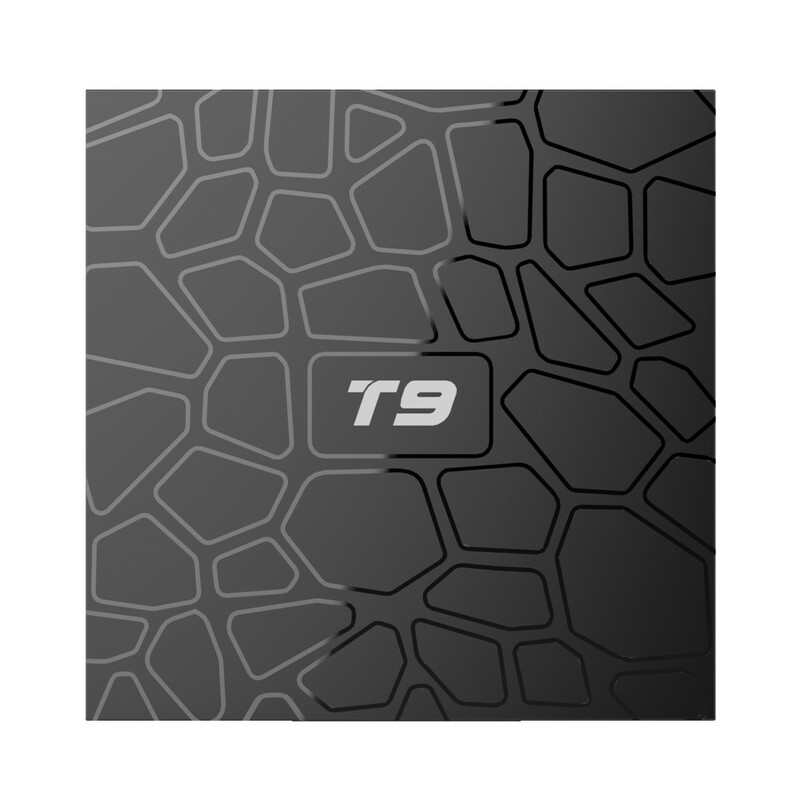 A There are pre-installed KDPlayer. 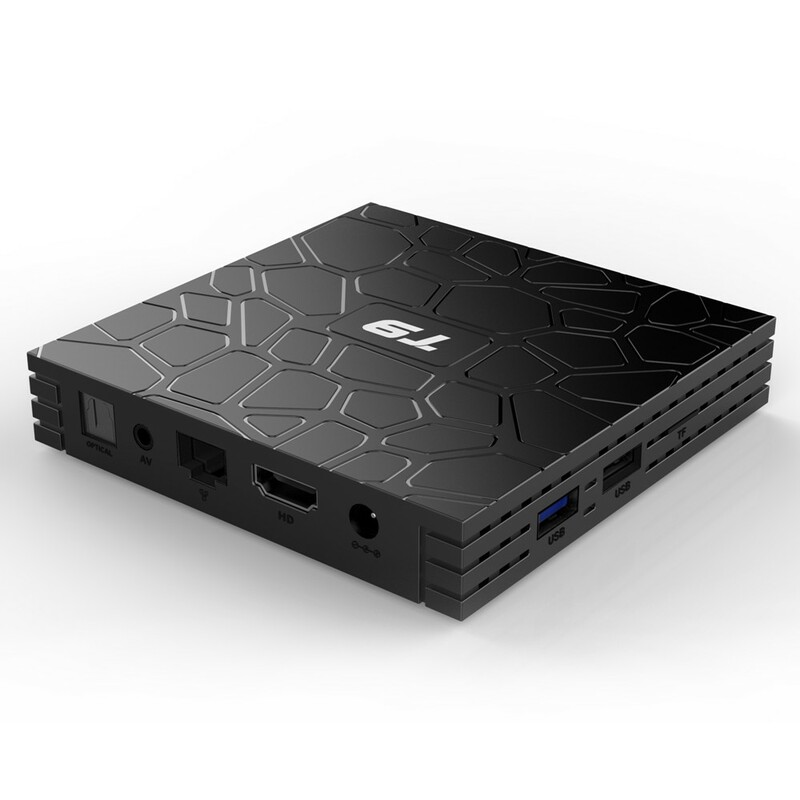 Does not support 8tb external hard disk to play movies. Thank you.